I just want to share my success in implementing eGPU via expresscard, that I was able to do on a couple of thinkpads. I've only heard about the possibility of this a couple of months back. I was enthused because I figured that I could turn my x230 work laptop into a game worthy machine. I already own a couple of gaming laptops (Asus G752 for me and VX15 for my wife), but we sometimes fall short on gaming units when we hold Dota 2 LAN parties. So I wanted a low cost solution that is actually game worthy, and on decent settings. I first tried it out on my work laptop. And when that worked, i bought an old T430 and made it work there. If you're wondering why I had to buy another laptop, it's because I don't want other people touching my work laptop as it contains sensitive data. -One thing to remember, and I think this applies to all thinkpads, is to plug in the eGPU before turning on the laptop. Otherwise, it will not be recognized. -Make sure that the BIOS is up to date, or you might just get a black screen. As stated above, my x230 has BIOS ver. 2.67, while my T430 has BIOS ver. 2.72. Also, be warned that when you update to the latest BIOS version, the thinkpad will no longer accept 1066MHz ram sticks. When I updated my T430 BIOS, I thought it had bricked because it no longer booted. But it turned out that one of the sticks was a 1066, and it was keeping the laptop from booting. -As for the Nvidia drivers, the only version that I know will work is 375.63. It's also the version that came in the box of the 1050 Ti. Make sure you set Windows to not update the driver. 1. Plug in the 1050 Ti to the EXP GDC Beast. Plug in the Dell DA-2 to the power outlet and connect the 8-pin plug to the 8-pin socket of the EXP GDC. 2. Connect the Expresscard Laine's HDMI end to the EXP GDC's HDMI socket, and the Expresscard end to the thinkpad's Expresscard slot. 3. Turn on the thinkpad. 4. If it boots successfully, go to device manager and check if the 1050 Ti is detected. It should, for the meantime, be installed as a standard VGA adapter. That's it for now. I hope y'all find this useful. I will try to update with some pictures later. Signed up specifically to say thank you for writing this guide. I followed this for my T430s using the same interface, driver version and PSU. I used an EVGA GTX 1050 Ti (without 6-pin connector) with this setup and it worked perfectly! One thing I'd like to point out is that I had problems when I had f.lux running. Device Manager would recognize the 1050 Ti but Nvidia control panel was nowhere to be found and games would only recognize my integrated graphics card. Disabling and uninstalling f.lux made everything work again though. Must be a problem with overlays or something. Anyways, good luck to anyone who wants to try this as well! How much memory do you both have? I'm trying with a L430, 12gb, and getting Error 12. Maybe it is because I am using a 1060 3gb, and you are using 1050 ti's. I'll try the driver you are using, see if that is the difference. Did neither of you get Error 12 or Error 43? I recently received my GDC. It was prett straight forward. Installed the card installed the express card. Connected at PSU. TURNED on computer. First time it turned off immediately. TURNED on again. Windows started. Checked devices found display device. Installed Nvidia drivers. Restarted. All is showing connected. Now the problem is whenever I try to run any games or 3d apps or benchmarks it uses the integrated GPU. I have no options in bios to disable or enable optimus. GT640 coolermaster 460 400 watts PSU. ALSO have GTX770 but I am waiting for proper power connectors for that one. I have tried gen1 express card connection and auto mode. I have disabled lan wake up option. I have tried both with our power management enabled and disabled. I have tried driver vserions 368 and 388 for variety. I have tried changing global driver settings to high performance. Buy for some reason it just dies not want to use the EGPU. All it' stats like temperature clock speed bus speed memory usage all show up in hwinfo. Shows up as gt640 in device manager with out any stop codes. Everything seems to be working as expected. WHAT AM I DOING WRONG. HELP PLEASE. So I was able to get my EGPU running. Issue was the Windows 10. For some reason my egpubjustnwont work with windows 10. With Windows 8.1 all is well. Now my next issue. I am unable to use more then 8gb ram. Issue is that my laptop won' go past loading Windows screen with 12gb ram. With 8gb ram it starts normally. Anyone know of any solutions? Hi guys, just tacking on my X230 experience if someone is interested. I already sold it and didnt took any pics or benchmarks sorry. I played some games with it like Prey, latest Mass effect, Destiny, Hitman on medium to low details and in my opinion it is barely playable and not worth it for latest games on this setup. Ofcourse it this much faster than with integrated intel gpu. @miredz , you had halved your bandwidth by using the internal display to game, yo! Its all about the bandwidth!! your 1060 has 192gb/s bandwidth which you access via a 4gbps link, by having it return display signal to internal display, you halved it to 2gbps link and a 96gb/s bandwidth, theoretically. Bascially you were playing on a [email protected] link hence barely playable. I know mate, dont know if I halved it, but that was all I got. I dont have nor need a monitor. Thats why I said barely playable on this setup. Got it very cheap and wanted to try it. I also use internal display. I use GTX 770 and I've played a few games like ets2 acrysis ps2 overwatch fortnight dirt rally and in almost all of them GPU usage was 99% or over. 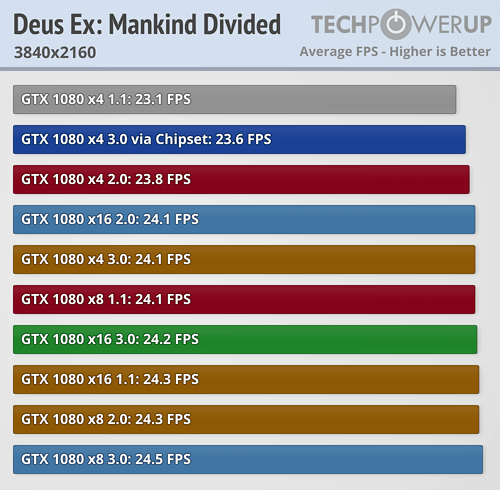 PLANETSIDE 2 has some issue because of which it uses neither CPU nor GPU over 60 percent. Eta also does not use over 70 percent CPU or GPU. Otherwise most other games run well. Crisis 3 on medium settings and native resolution runs 40+ sometimes dipping to 26 in certain areas. 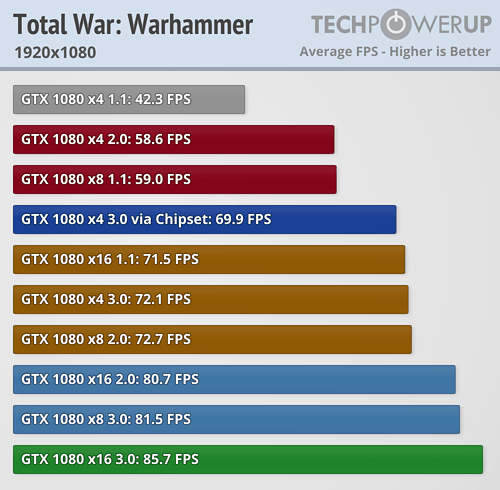 In game GPU uses almost 130 to 150 watts of power while it's TDP is 230. I am searching for a GTX 970. When I get a more powerful you then I will be able to test the limitations of the band with but for now it's working to the max. I do however like the fact that the GPU is hotswapable like a modern type c egpu. ALL thanks to the express card port. Also I thing gen 2 express card is capable of 5gbps. Btw can anyone help me setup 12 gb ram with egpu? I really want more ram. "your 1060 has 192gb/s bandwidth which you access via a 4gbps link, by having it return display signal to internal display, you halved it to 2gbps link and a 96gb/s bandwidth, theoretically. Bascially you were playing on a [email protected] link hence barely playable"
I am sorry, @bones_hazard, but this post is utter nonsense. That is not how any of this works. The GTX1060 has 192GB/s of memory bandwidth between the graphics core and the card's memory. This has nothing to do with the host to video card bandwidth and is entirely separate. While you do send information to the card, you never do so at its memory bandwidth, as PCIe even in the best cases (Gen3 x16) has lower bandwidth than quite a few video card memory setups (R9 Fury has 512GB/s of memory bandwidth and the aforementioned GTX1060 has 192GB/s, while the fastest PCIe slot today is "only" 128Gb/s, which is 16GB/s, so if your math checked out, all our cards would be bottlenecked by any PCIe slot in existence, which is not the case), not to mention the data sent to the card per frame is not that large. The high memory bandwidth of the video cards is used by the cards when rendering, not when you copy stuff from the host. Additionally, PCIe bandwidth is bi-directional (in other words, a PCIe Gen3 x16 slot has 16GB/s in EACH direction), so by returning the image you're not halving anything and the performance hit is not caused by "halving the bandwidth". Not to mention that even the bandwidth was shared, why do you assume it being halved? The amount of information sent back to the laptop depends on the rendering resolution to start with. The bandwidth to the video card's memory is also not halved into "96GB/s" and remains the same regardless of what connection the card has to the host system. Nor do all these restrictions make a 1060 into a GTX750Ti, not effectively, nor anything else. I agree with yukikaze. I forgot about this. Our GTX runs on PCIE X1 2.0. Which means it can go up to 5Gbps in EACH direction theoretically. So it mostly depends upon what sort of app u r running. Is it an app that depends mostly on gpus internal processing or does it require alot of data transfer between different components of a system. 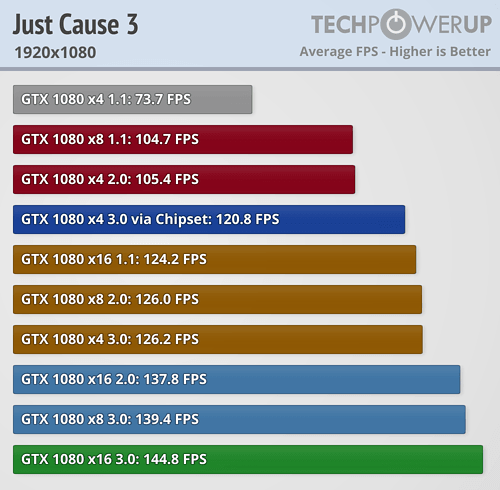 As I said most games are highly GPU dependent now a days so they should work fine. An exception for me has been ets2. But I was playing with 32bit version. Will try to update it and use 64bit version maybe that will help. Firstly Apologies, as my terminology was/is absolute rubbish. no hate yo, just trying to help and learn. I wanted to talk about PCI-e bandwidth sharing and 1x speeds affecting return display signal (NOT halving/data link speeds or memory bandwidth ,those were bad terminology) and my 'Theortical' math was just messed up due to the terminology used to make it simpler, But thank you for correcting me about memory bandwidth. But 1x does affect the return display signal and and so does PCI-e 2 or 3, or does it not? First, thank you for a good thread and a great forum! Now, the only things that´s different from your build is 16GB (non-DDR3L as far as I can see from cpu-z) ram and Windows 10.
have any new info about X230, 16GB ram and egpu? And last, is there something special I have to do to make egpu work with Windows 10? Thank you again and sorry if the info already has been posted elsewhere. Just wanted to share my experience and hive heads up for others. Installation went super smoothly. Plugged everything in, started PC, it recognized right away. Installed Nvidia drivers. There was 1070 in Device Manager but not in games until changed default GPU in Nvidia Control Panel. Benchmarks: Unigine Valley 51 FPS at native 1600x900 resolution, 8xAA & Ultra settings (internal screen). For details related to the steps that I've made, please see topic: "https://egpu.io/forums/expresscard-mpcie-m-2-adapters/lenovo-x230-exp-gdc-v8-5c-amd-r9-380-atx-psuexternal-screen/"
You'll need a few tools to take your bios dump, they have a list there. Any chance that an "Advanced menu" in Bios can solve my problems too (maybe onboard graphics can be disabled from there or some kind of order for video cards like boot order can be set)? I dont think you can disable IGPU via 'Advance menu', you can set how much ram is dedicated to it and change some other cpu related options that were locked otherwise via Advance menu. Usually Dedicated GPU of the laptop needs to be turned off to properly utilize the EGPU in most cases(mostly when the Internal display is used).its a switchable GFX issue but the X230 doesnt face those issues as it only has IGPU. With Nvidia cards, you can choose which GPU does what via the Nvidia control panel, not sure for AMD as my HD6670 uses Legacy drivers. Make sure to turn off secure boot and fast boot and set Pci Gen signal to auto(so it stays on 2) in BIOS. also try the booting procedure I mentioned in your other thread to help for better troubleshooting. Hello, I have some similar configuration but I am hitting a problem: the fans of the card are spinning when laptop is powered on, but I can't see the card in either Ubuntu or Windows 10 Pro. can anyone tell me if I need to make any special setting in BIOS or how I can test the GDC Beast and to prove that it is functioning? - Only use Nvidia cards. AMD cards encrypt data and normally will not work. - Avoid digital to analog (Nvidia restriction) when connecting the card to the laptop (e.g DVI to HDMI). PD: I will build an egpu setup toon using GTX580 on X230. I will post the results in a new thread. Err, what? AMD eGPUs work just fine as eGPUs, and what data do they encrypt? 1) DVI to HDMI is not digital to analog, as DVI to HDMI would be digital to digital. 2) Where in an eGPU setup do you have a DVI or HDMI link between the card and the laptop? Thanks man! I am a heavy laptop user in the last... almost 10 years... last time when I (really) struggled with something like this the AGP ports were still available (although slowly-slowly out fading...). I am trying to bring myself up to date but sometimes I need some shortcuts (like the one you provided). I will check in once I have a working setup! Thanks once more! The TDP of your GTX 950 is 90W. The PCIe interface can deliver up to 75W. The 6-pin connector allows another 75W. Which means 150W in total. Your Dell DA-2 is capable of delivering up to 220W. In any case there is enough power available. only the explanation was not clear. now it is! Thanks once more @betei! So I'm not toooo well versed in laptop computer lingo... at all... I just found out what a gpu was yesterday. Do u have a link to the brand, place u got the external gpu? I copy and pasted what u put into a search and am still super unclear if i have the right model. I'm just a guy who wants to play some fortnite on his old laptop. Ironically, I run an iphone repair business, but I never touch pc. Its a whole world unto itself. So an amazon link would help anyway. Im planning on buying the gpu thingy, going to a laptop repair shop and having them install it.